Bay Cabinz Motel offers self-contained private chalets overlooking Paihia village. Set among native surroundings with sea or garden views, it provides free Wi-Fi and shuttle service to/from the bus depot. 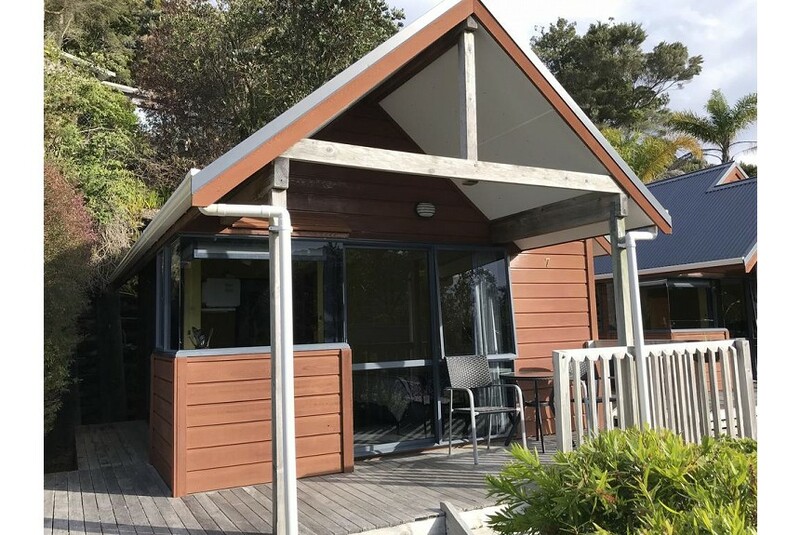 The environmentally friendly chalets at Bay Cabinz Paihia feature a TV, DVD/CD player, heating, ceiling fan and a spacious balcony with outdoor seating. The fully equipped kitchenette includes a refrigerator, microwave and stove. The open-plan chalets are elevated to enhance views and privacy. Facilities include a barbecue area, guest laundry and a tour desk. Guests have access to books, games and DVDs in the library. Free off-street car parking is provided. Bay Cabinz Motel is a 5-minute walk from the InterCity Bus depot and a 5-minute walk from Paihia Beach. It is 10 minutes’ drive to Haruru Falls and 90 minutes’ drive to Waipoua Forest, home of the largest kauri tree in New Zealand.